Vincent graduated from the University of Melbourne in 2011 and he also completed a Masters of Veterinary Studies in Small Animal Practice through Murdoch University in 2015. Vincent has spent the past few years travelling around the world and working in the UK. He also has worked in numerous practices around Australia and even did a volunteering stint in the Himalayas of India. 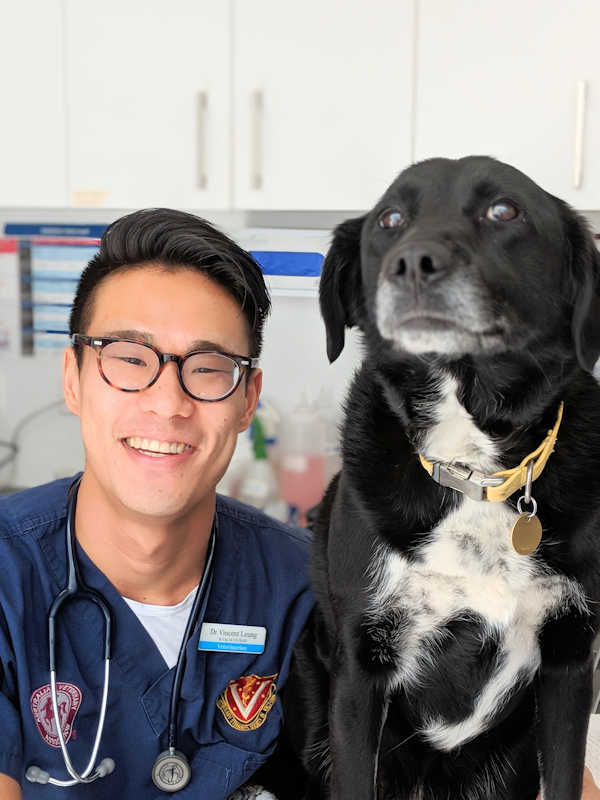 He returned to his hometown of Melbourne in 2017 where he joined the team at Port Melbourne as a locum vet. Vincent has one dog who is an 8 year old Kelpie X called Deni. Deni was adopted by Vincent while he was on a placement in vet school from Denilliquin NSW.